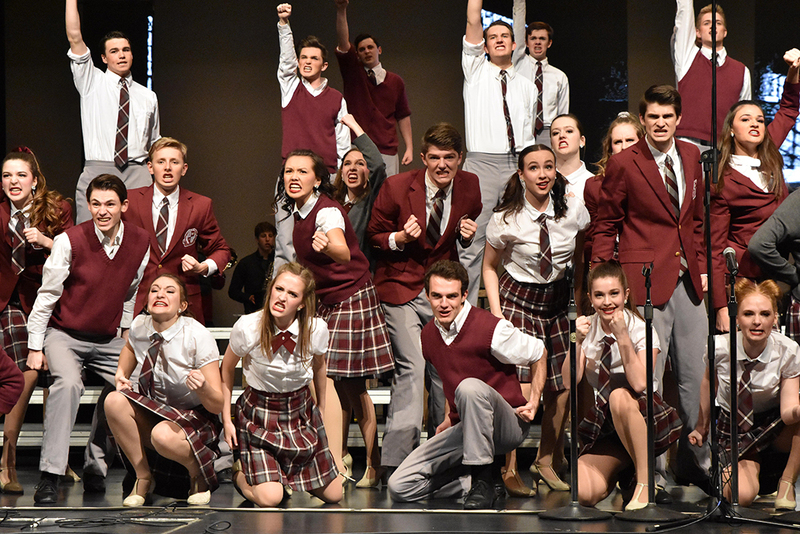 The “Finale” performance is a showcase of Zionsville Community High School’s two show choirs performing the best of their songs from the year. The May 11 and 12 performances also showcase how much the students have grown in the years since they first became part of the group. Senior Tali Mapes, president of Choralaires, has watched the new students develop skills this year and enjoyed sharing their first moments. Beyond developing performance skills, students feel the experience has helped them grow as people. Students attribute much of their growth to music teachers Aaron Coates and Deana Broge, who lead the group. “Finale” showcases performances from the entire year with new choreography for many of the pieces. The opening act is inspired by “The Greatest Showman,” with some country/western, solo and group acts throughout the program. The show culminates with the award-winning competition performances by both groups. “The best part of ‘Finale’ is you know everything, so now you get to enjoy it,” Mapes said. The Choralaires and Royalaires begin practicing in the summer and continue twice a week throughout the year. Students also are able to take show choir as a class to obtain school credit, allowing their practice schedule to be lighter. Mayo already knows she’ll be part of Choralaires next school year and is eager to see the changes the incoming students will experience. “From a third-year veteran perspective, to see them grow and to watch their progress, to watch them in my shoes is going to be so exciting,” she said. “Finale” is May 11 and 12 at 7 p.m. and May 12 at 2 p.m. The evening performances are 2 1/2 hours long while the Saturday matinee is an hour shorter to accommodate families with young children. Tickets are available at zchoirs.com for $17.50 for evening shows and $12.50 for the matinee. Proceeds support the show choirs.